College meal plans can help students avoid buying groceries and cooking for themselves—but they can also cost thousands of dollars each semester. In the University of North Carolina system, some students get a relative bargain, but others pay 60 percent more with fewer spending options. Even though some UNC campuses take in hundreds of thousands of dollars in unspent funds from meal plans, most students can’t opt out. 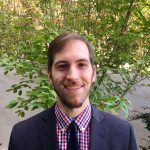 A Martin Center analysis of the five largest public North Carolina universities—UNC-Chapel Hill, North Carolina State University, East Carolina University, UNC-Charlotte, and Appalachian State University—found that ASU offers a fair deal, but other campuses make saving on meal costs difficult. Some simple reforms could benefit students, but universities would have to forfeit an easy source of revenue. For cost, flexibility, and lost funds, Appalachian State serves its students best—by far. Meal plans are required for on-campus students, who choose among four options, from a “low” plan ($1,055) to a “super” plan ($1,917). Plans work on a declining balance system (like a prepaid debit card). Food is priced a la carte and ASU lists average meal costs online based on past purchases. However, freshmen cannot purchase a low plan and many of them buy a standard plan ($1,357), the cheapest alternative and 73 percent of all plans purchased in 2017-2018. Compared to other UNC schools, ASU’s $208,000 received from unused student funds looks high. However, that is because other schools use meal swipes for primary food spending and flexible spending for additional food purchases, but ASU’s meal plans are flexible spending only. Thus, the cost of a lost meal swipe at other schools is harder to see than in ASU’s flexible spending system. If ASU allowed freshmen to buy a low plan instead of a standard plan, it could help students budget better and get more value from their meals. The Appalachian, ASU’s student newspaper, noted that students set up a Facebook group to sell unused meal plan money at a discount or give it away for free. While ASU uses a declining balance system, UNC-Chapel Hill has a more traditional meal swipe system where students have a weekly number of meal swipes to enter a dining hall and students can eat as much as they’d like. UNC-Chapel Hill has one major difference in its meal plans—choice. Of the five UNC schools in this Martin Center analysis, Chapel Hill is the only one that does not require students to buy a meal plan. Not many students opt out, though: About 90 percent of on-campus freshmen and 79 percent of sophomores bought a meal plan in fall 2018. From unused swipes and flex spending, Chapel Hill took in about $1.7 million in the 2017-2018 school year, which stays within food services. Those unused funds, however, are not viewed by UNC-Chapel Hill as a subsidy for Carolina Dining Services. “CDS evaluates the amount of unused meals from meal plans annually and adjusts meal plan prices accordingly for the next academic year,” Olivia James, communications manager for campus enterprises, said in an email. If the school refunded unused meals, they would have to “increase up-front meal plan pricing,” she noted. Even so, meal plans are expensive. UNC-Chapel Hill’s unlimited meal plan, its most popular, is $2,290 per semester—59 percent more than ASU’s most-popular plan. A Chapel Hill student can come close to ASU pricing, if not flexibility, if they pick the cheapest plan available: $1,411 for 100 meal swipes and $200 in flex spending. Across campuses, freshmen students get the worst bargain for meal plans. Like UNC-Chapel Hill, UNC-Charlotte has a traditional meal plan. It offers seven options, six with a set number of meal swipes and a declining balance fund and one plan with only a declining balance. Charlotte uses unspent funds like Chapel Hill. 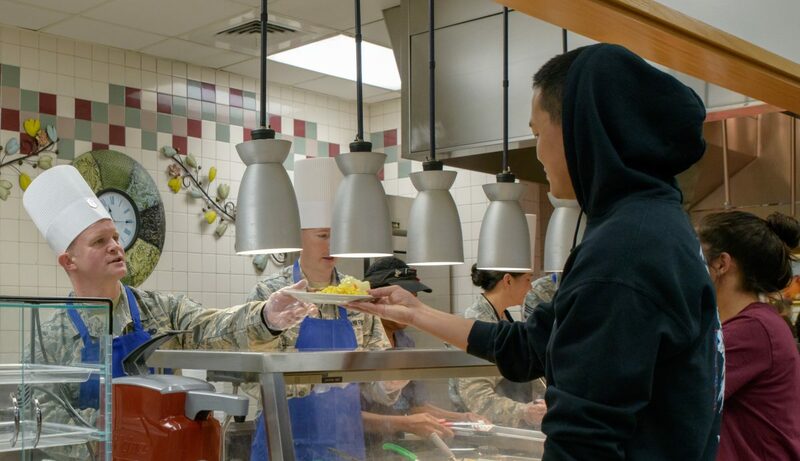 “Those funds are used to support student activities like Swipe Out Hunger which provides meal swipes to students who have food insecurity” and “ongoing food service operations across campus,” public records officer Tina Dadio said. Across campuses, freshmen students get the worst bargain for meal plans. They’re usually compelled to buy a meal plan and are not allowed to buy the cheapest plans. At UNC-Charlotte, for instance, seniors can purchase an 85-meal plan with $300 in flexible spending for $1,205, but the cheapest option for freshmen is a 160-meal plan with $300 in flexible spending for $2,170. And freshman meal plans comprised 60 percent of total meal plan sales in fall 2017. When students became sophomores and weren’t required to buy a meal plan, purchases fell from 3,249 to 747 in fall 2018, a 77 percent decrease. The purchasing requirement for on-campus students is a heavy burden. If most students rely on parents or financial aid to pay for their meal plans, they may not realize how much their food costs. When someone else provides the money, students are less focused on the immediate price. And if students don’t realize how much money they’re borrowing, they may not realize they could save thousands of dollars annually—and reduce their future loan debt—by avoiding meal plans. To help students lower their food costs, some reforms are obvious. Schools could abolish meal plans, make them voluntary, or offer a low-cost “value” plan. Limited, cheaper plans are already available to non-traditional students like commuters. NC State, for example, offers meal plans for varsity athletes that can be as cheap as $730 for 80 meals. Students could add more funds to their meal plan instead of getting locked into a high-priced plan they won’t fully use. Universities could also distance themselves from meal provision. Contracts with student dining companies like Chartwells involve a commission that earns colleges millions of dollars annually, but at a high cost to students. UNC-Charlotte’s agreement with Chartwells, for instance, required the company to make an advanced payment of almost $2.2 million and a 20.1 percent commission of non-meal plan sales. The contract incentivizes the school to push students toward meal plans. Instead, renting out space to food vendors and letting them succeed or fail based on how well they satisfy students could remove that incentive. Colleges, however, are generally resistant to big changes. Reforming meal plans may benefit students, but it could cut into a university’s profits. If students aren’t up in arms about their meal plan bill, it’s unlikely that administrators will take the lead on change. The food in dining halls is generally high-quality. Students have many options and meal planners are sensitive to food allergies and health considerations. Nor are meal plans the main driver of college costs. But they can be a significant cost and add to a student’s debt load. For many students, saving $1,000—or even $500—per semester is a major boon. It could be the difference between graduating or dropping out. UNC administrators should be aware of how much a change can benefit their students.